I was angry. Well, maybe I still am, maybe I am not. All I know, all I remember, is that anger has become the order of the day. I was sitting quietly in the corner of my room, somewhere in an obscure part of the city, when rants from my colleagues snapped me out of my derailed mood. “Nice distraction” I thought to myself, as I walked towards them, hoping joining that conversation will brighten my mood. But I was wrong. They were angry. I wasn’t so surprised seeing them angry, because I am used to Nigerians being angry, but, this seems so different. So, I listened. Their reason for being angry got me laughing hysterically. I couldn’t have imagined they were angry because there is a claim the President of the country called the Youths lazy. My colleagues saw my laughter as irrational, which left all of them both shocked and curious of my action. They demanded an explanation that I wasn’t ready to give; so, I walked away. I was angry. Mine was different, it was for a different reason. A reason only a few can relate to. Few days later, I found the truth and I realized the President did not categorically make that statement. It was more of an implied one. With this, I had to ask myself how many Nigerians actually confirmed the statement, as most of them, if asked, have no idea of where and when he said so. That is not the bone of contention though. The question is; if the President was not claimed to have said this; what will our reaction be? 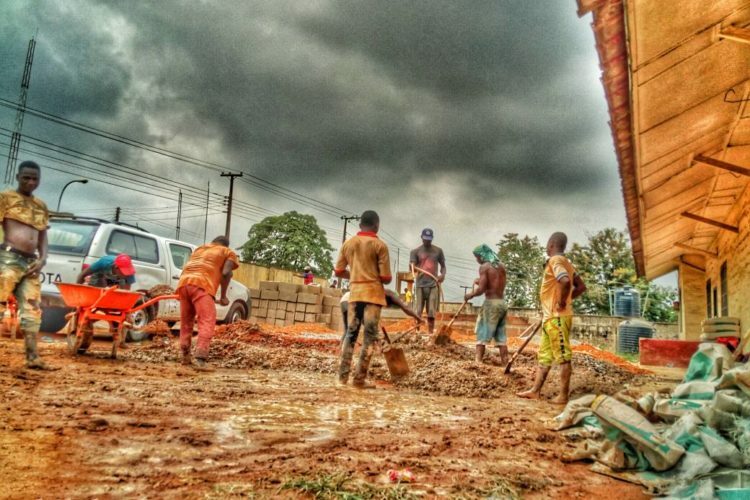 In truth, are Nigerian Youths really lazy? Like many will say, lazy is relative. But, like many will agree, reality is not relative. Many people get so emotional that they are blinded to reality. No doubt, many Nigerians are usually busy doing something, but, the question is, what are they really doing? Many people will strongly argue that regardless of what they do, it is based on making ends meet, because of the kind of country we find ourselves. A country where effort is rewarded with frustration and success is not determined by hard work but network. If that is what we have, how then can laziness be determined? However, putting emotions aside, I get to ask myself how we will have a better country when it is filled with youths who prefer to vote Big Brother housemates, rather than vote for their leaders. A country where youths prefer to stalk artists rather than storm their politicians. A country where the youths prefer to spend hours fighting over football matches other than fighting for their rights. Let us face the truth and quit the pretense. Our loyalties have been bought with money, our sincerities bought with unfulfilled promises and our votes bought with bread. Have we ever wondered how our hard work will not be replaced with treachery when our votes have been bought with lies? Now is not the time to complain. Now is not the time to lament. Nowis not the time to rant. Stand up and be true to yourself. You might not have the power to determine what happens in government but you have the power to determine who becomes the government. If truly you are not lazy, focus on the things that are important, like who becomes your leader. Don’t be a lazy Nigerian, get your PVC. Don’t be a lazy Nigerian, vote the right people. Stop being ANGRY, start being ACTIVE. You are the one that was even angry before. No time to be angry.